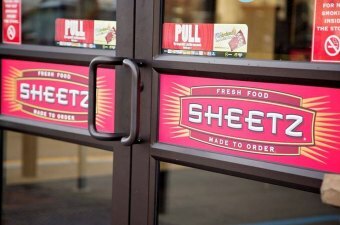 Sheetz opens its Tanyard Square Barboursville location Thursday, December 20th. The store will open at 8am so you can feel free to come hang out inside. We will have samples of our #MadeToOrder food & beverages, a prize wheel, and giveaways too! If you bring a non-perishable food item to be donated to Facing Hunger Foodbank you will receive a Sheetz branded thermal bag (Limit one per customer while supplies last 9AM-11:30AM). One lucky winner will really #FeelTheLove when they walk away with the grand prize - $1,000 Sheetz Z-Card! The winner will be announced at 11 am. *No purchase necessary. Must be present to win. Must be 18 or older to be eligible to win. See store for details.